Marijuana may seem like an unlikely medicine for dogs, but their biology says otherwise. CBD may be able to induce relaxation and calmness in canines, useful for stressful event such as fireworks. Bonfire night and the season surrounding it is a beautiful time for all of the family. Watching the sky glimmer with all of the colors of the rainbow, hearing the thunderous explosive booms and smelling the fresh autumn air are nostalgic memories for many in the United Kingdom. The 4th July and New Years Eve celebrations are also heavily centered around the use of firework displays that both mesmerize and get people in the mood for a party. This said, there are members of many families who dread this time of year. It fills them with fear and confusion, causing them to run around erratically or hide and cower. The family member being referred to here is, of course, your dog. It has been reported that animal hospitals see up to a 25% increase in visits during the 4th of July holiday. Part of this is down to the immense amount of stress caused when a dog's extremely sensitive sense organs and nervous systems are exposed to the loud blasts of fireworks. Along with obvious solutions such as keeping windows shut, doors locked and comforting your dog, other measures can be taken to ensure they remain as stress-free and comfortable as possible during this time. CBD is showing great promise in this area as a harmless, natural medicine capable of quelling anxiety in human and canine alike. It may come as a shock to many, but dogs are just as capable at receiving cannabis as a form of medicine as you and I. Why is this? Well, the reason cannabinoids such as THC and CBD have such profound effects of humans is due to several cell receptor sites within our bodies that make up what is known as the endocannabinoid system, located all throughout the body in areas such as the nervous system, brain, organs and connective tissue. When cannabinoids react with these receptors many biological benefits have been proven to take place. Yet humans are not the only species to house such an impressive and important system. In fact all forms of vertabrate species share the endocannabinoid system as a paramount part of life and adaptation. Yes, this means your dog too. Does this mean you need to get your dog stoned around firework season in order to stop them either going ballistic or breaking down with severe anxiety? Absolutely not. THC is the primary cannabinoid in most cultivated marijuana as this is the molecule responsible for the psychoactive cannabis "high" that has both recreational and medicinal use in humans. The increasingly recognized cannabinoid CBD is non-psychoactive, yet by no means less medicinal. For this reason it is advised to use the latter as the cannabinoid of choice for canines. One reason being that it is quite hard to guess what dose your pet would need, another being that there are ethical issues in place regarding altering your pets state of consciousness as they have no say in the matter. People are starting to realize that marijuana has a place in the pharmacopeia of pet medicine. Many are opting for CBD extracts to treat ailing pets, especially in regards to releasing them from the tight grip of pain. This wondrous molecule has its place in pet anxiety too, making it key to have on standby during an intense neighborhood fireworks blitz. CBD has been shown to work wonders for humans suffering from anxiety. The good news is it seems to be having the same effect on dogs. Juilanna Carella, founder of Treatibles, has stated that CBD medicine generally induces a calm feeling within dogs, adding that the medicine is 100% safe and non-toxic. Carella's company specialises in formulating super food treats for animals. Powerhouse ingredients include organic coconut oil, turmeric and, of course, CBD. 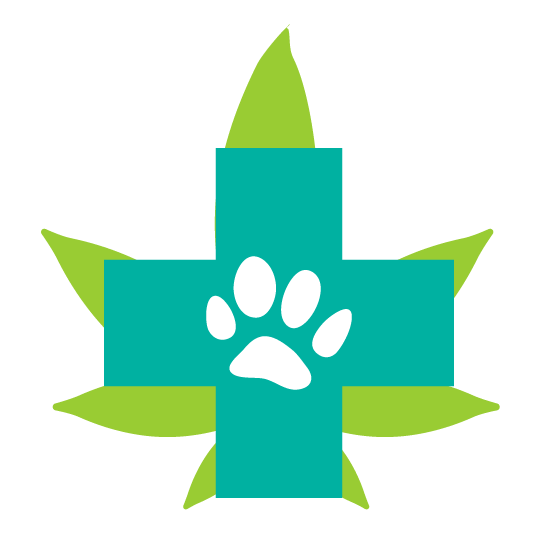 Carella has also mentioned that many canine veterinary visits to do with cannabis are a result of pets consuming THC. This is more of a reason to opt for the non-psychoactive CBD when medicating beloved creatures. Although veterinarians are not yet recommending marijuana medicine for pets, innovation and application are taking place regardless. It is true that there is a significant lack of scientific studies that have tested CBD on dogs. However just because these studies have never been conducted does not take away the potential that lays in wait. The same can be said for many human conditions that obviously benefit from cannabis as medicine.